Who Will Steal Android From Google? — An ex-Googler’s (Steve Yegge!) opinions on Android, its competitors, mobile developers and why it’s a good time to be one. 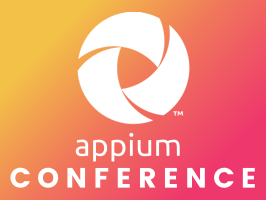 AppiumConf - 6 April - London — Check out the brand new AppiumConf coming to London next month, featuring a speaker line-up including Dan Cuellar (Creator of Appium), Jonathan Lipps, and more than a dozen industry-leading mobile testing experts. Book by 23 March to save £100. Previewing Android P: The Next Version of Android — Includes improved Kotlin support, HDR VP9 video, ImageDecoder, display cutout support, and indoor positioning with WiFi RTT. Video: Tooling for Progressive Web Apps — In 15 mins, see how to transform an existing single page app into a PWA, and how to use Chrome DevTools’ Audit panel to figure out where to focus your efforts to improve UX. UI Animation Tips to Improve Your Micro-Interactions — A collection of examples ‘going from good to great’ that could apply to Web and native apps alike. scrcpy: Display and Control Android Devices over USB — It doesn’t require any root access and you can use Linux, Windows or macOS as the client. Potentially helpful for testing, screencasting, etc. Sloth: One-Click Network Throttling in Chrome — A quick way to go slow for testing. Chrome Web Store. Or use DevTools’ built-in throttling. 10 Dos and Don’ts of Mobile UX Design — A collection of highly practical tips on what you should and shouldn’t do when designing a mobile app. Learning File and Image Uploading by Building an Instagram Style App — Learn how to manage file and image uploading in your Ionic/Cordova apps by building an Instagram style app. Registration for WWDC 2018 Is Now Open — Taking place in San Jose, June 4-8. Once again, the opportunity to buy tickets is offered at random. 25 React Native Tutorials — A great selection of tutorials for learning React Native, covering animations, performance and more. Securely Set Up OAuth2 for Mobile Apps — How to implement authentication and authorization for mobile, browser, and native apps alike.